The preliminary figure compared with a revised surplus of $7.4 billion in September, the central Bank of Korea said. The current account - the broadest measure of foreign trade in goods and services - has been in the black for two years and eight months. Exports last month amounted to $52.2 billion compared to $50.7 billion in September as overseas shipments of ships, memory chips and electronic devices all rose. Imports stood at $43.5 billion, leaving an overall surplus of $8.7 billion in the goods account. The services account, which includes spending on overseas trips and royalty payments, saw its deficit shrink to $250 million from $280 million a month earlier. Asia's fourth-largest economy has racked up an accumulated current account surplus of $70.6 billion as of October. 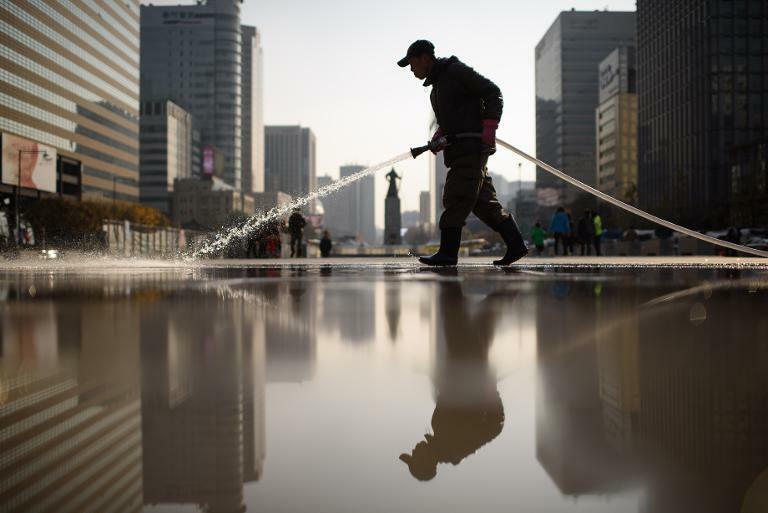 It is on course to meet or exceed the central bank's target surplus of $84 billion for this year - a record high - Jung Joon, director of the BOK's financial statistics, told Yonhap news agency.